Why Thailand is such a hot favorite honeymoon destination? Have you ever wonder about it? Because it has romantic sun-kissed white powdery sand beaches, stunning tropic islands, perfect weather, thousands of adventure options, exotic cultures, delicious food, world renowned resorts and retreats, and colorful nightlife and what more it is budget friendly. Thailand is so charming, and you may like all I listed above, so, maybe it is hard for you to design your honeymoon in Thailand. However, our experts have journeyed the breadth of the country, or live in the country, they know there's far more than palm-fringed sands, so they can advise and design a perfect Thailand honeymoon package for you. To make a wonderful honeymoon package in Thailand, we think, you can combine different Thai islands, arrange some time in Chiang Mai to enjoy the exotic Lanna culture surrounding, add a couple of days to immerse yourselves in exciting Bangkok. >>Check our most popular Thailand honeymoon packages or you can contact our expert directly to tailor make a once-in-a-lifetime honeymoon experience in Thailand for you. Thailand definitely has all of the over-the-top romantic, once-in-a-lifetime destinations and you will experience what you expect from your first big trip as a married couple. The glorious beaches, pink sunsets, soaring mountains, giant elephants, rugged jungles and spicy noodle dishes worth breaking your honeymoon diet on. All couples will find their perfect places in Thailand to feel the love. However, the biggest problem is Thailand is quite far and it takes more than 10 hours to fly into from most of western countries. So if you have two weeks off your moon, this is a good way to use up those days. On this occasion, you can choose three cities that suit your preferences. The top three cities we recommend that would best suit Thailand honeymoon packages including Bangkok, Phuket and Chiang Mai. All of them has its own airport which makes the transportation both fast and convenient. At first glance, Bangkok might be the last place newlyweds would like to choose for honeymoon. However, the capital city is a transportation junction with plenty of things to see and do. Upon arrival in Bangkok, newlyweds should go hand in hand to one of the city's sky bar just opposite to the Wat Arun (Dawn Temple) by the Chao Phraya River for a celebratory drink and admire the magnificent sunset over the Wat Arun. 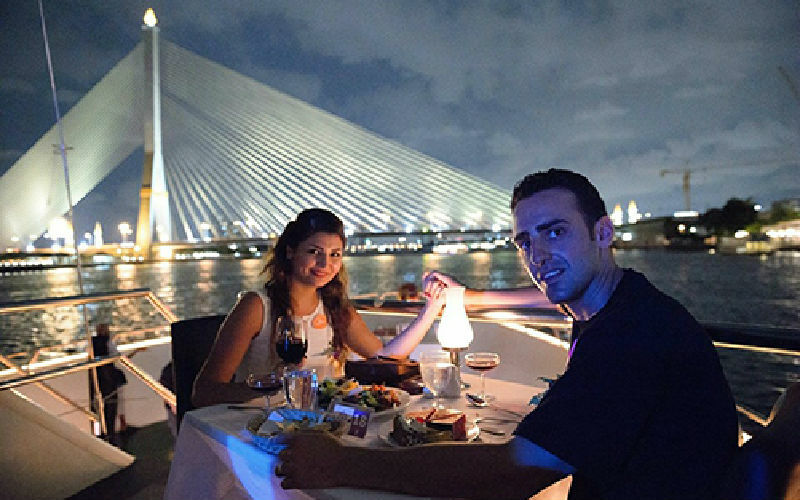 Dinner cruise on Chao Phraya River is the activity we highly recommended to add in your Thailand honeymoon itinerary: As dusk sets on the city, the main attractions of the city will be lit up, you will glide across them on the river. Dishes of Pad Thai and red and green curries served with traditional Thai dance performance. Bangkok is famous for the delicious street food, so explore the affordable and mouthwatering local food in Chinatown will be fantastic, otherwise you will be deeply regret. Cooking together is very interesting for newlyweds. Just thinking about taking some culinary skills back home and trying out for your new husband and wife, it will be really happy. So taking a cooking class is a must-do in the Kingdom. 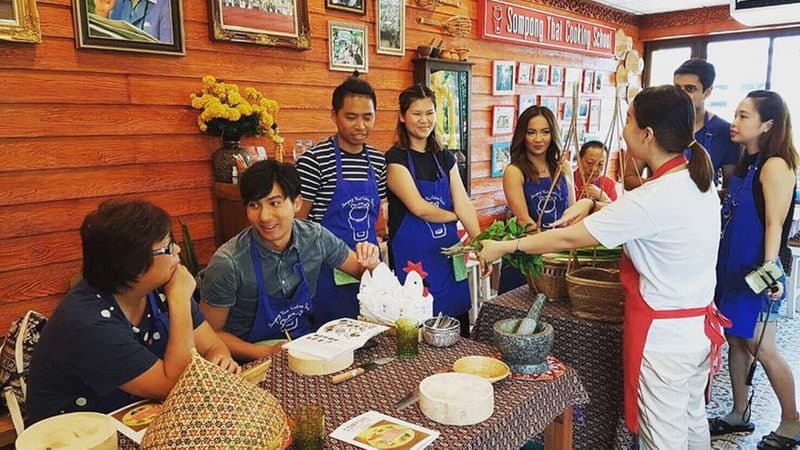 Chiang Mai and Phuket are equipped with plenty of trips that Bangkok simply cannot offer you, so Bangkok is an ideal place to taking cooking class. UME Travel can help you obtain a romantic morning/afternoon in your Thailand honeymoon package with your new spouse learning to cook some epic Thai cuisines during your honeymoon trip in Thailand. We believe that your honeymoon wouldn't be complete without some shopping in Bangkok would it? So go to grab what you want in Chatuchak, the largest weekend market and enjoy a bargain experience. Here, we recommend the island - Phuket. While you may say, Koh Samui or Koh Tao may be a bit more romantic and privacy. However, they are also more out of the way which means you have to takes more time to get there. Instead, Phuket, the Pearl of the Andaman is much more convenient to reach. Flights are frequently from Bangkok or Chiang Mai, and newlyweds will have more time to enjoy their precious honeymoon. Phuket is the largest island in Thailand which guarantees that there are lots of things to do and see. The stunning golden sand beaches, colorful shores, chic honeymoon beach resorts and lots of watersports. Despite the large numbers of tourists, Phuket is a great destination for young couples. It is not just romantic in itself, but also a gateway to other islands for honeymoon in Thailand. Young couples can go snorkeling and scuba diving and take some authentic Thai massage for relaxing after the activities. You can also party hard at famous Bangla Road in Patong or go for a popular lady-boy shows or just laze at the beach. Phi Phi island is not far from Phuket which is famous for its silver beaches and palm-fringed coastline. If you want some alone time, you can hop on to a speed boat to the breathtaking Phi Phi. Sailing on Phang Nga Bay at dusk. Phang Nga Bay, also called James Bond island, is the archetypal Thai seascape. The sheer limestone karsts that jut vertically out of the emerald-green water, and the top-heave pinnacles look like they're balancing in the water. The limestone rocks give structures to coves lagoons and sea caves. The rocky structure on the sea is indeed spectacular especially appreciated from the water, so we highly recommend it for the new couples. 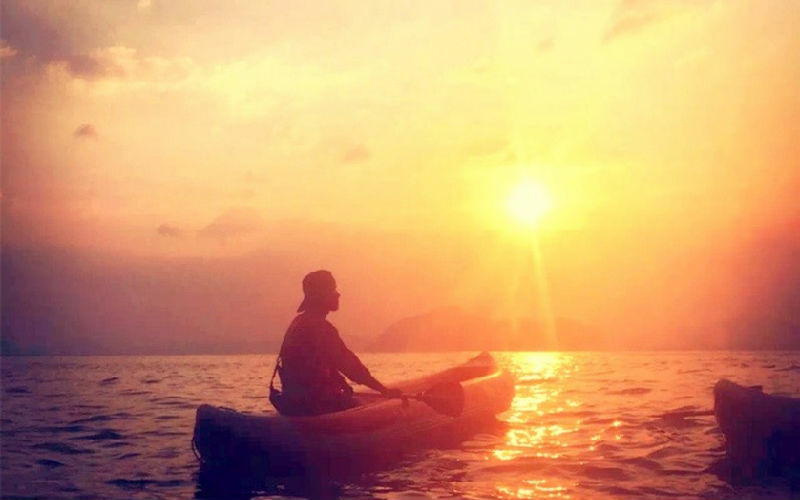 We'd suggest taking out a sea kayak with a guide especially kayaking at nightfall when the rock formations are bathed in moonlight. Phuket continues to amaze people from all over the world and it is a perfect place of honeymoon! It is said that if you can only go to one place in Thailand, it should be Chiang Mai. It is in the northern part of the country which will give you a completely unique experience than the rest of the places in Thailand. The ruins around the town with lush, jungle terrain make the city a special exotic romance atmosphere. If you arrive Chiang Mai during Loy Krathong Festival, one of Thailand's biggest and most picturesque festivals, you will enjoy an extremely romantic time here. Thousands of sky lanterns are released to the sky when newlyweds can make a wish. This is the best place for busy honeymooners to get relaxation. Here is where you have a lot of things to do. First of all, take advantage of the cheap authentic spas with full body Thai massages. 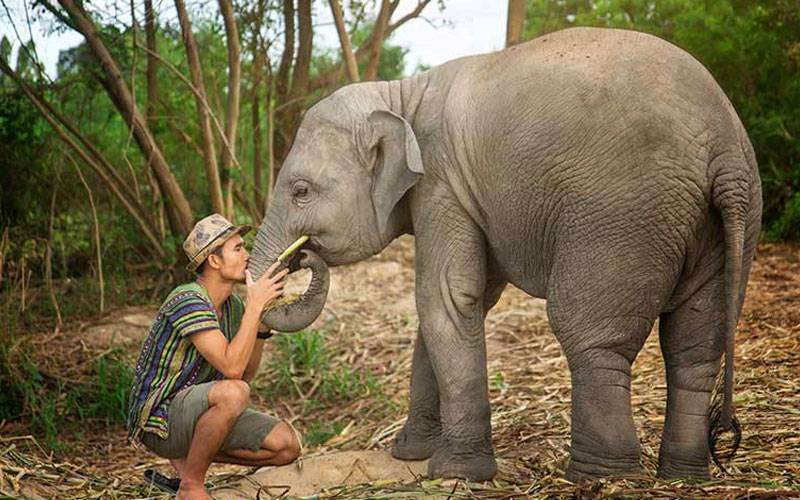 One of the most popular and fantastic thing is a trip to take care of elephants in Elephant Nature Park or Elephant Jungle Sanctuary where you will feed, pet, and bathe the elephants in an ethical way. Receiving a Thai blessing is one of the specialist experiences for new couples in Thailand and we really recommend. Doi Suthep, the highest mountain in Chiang Mai, is a constant part of life in Chiang Mai. There is a Thai saying "if you haven't tasted Khao Soi (Chiang Mai noodle) or have a view from the summit of Doi Suthep, you haven't been to Chiang Mai." 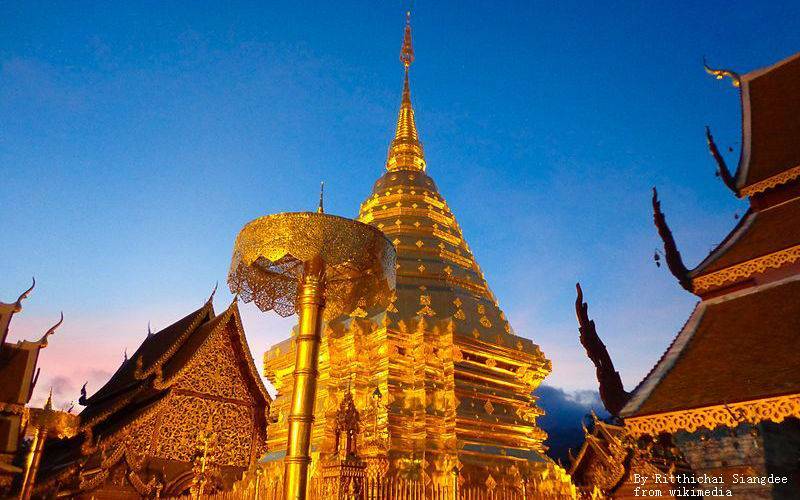 There is very famous temple named Wat Phra That Doi Suthep on the summit of mountain. You can go inside the temple to admire its majesty view and UME Travel can arrange a private blessing by a monk at dusk when the atmospheric in the cooler and evening calm for you. Those fitness couples may take a cycling trip to explore the old city, or take kayaking, white water rafting in the surrounding of the city. There are also meditation retreats for those couples who would like more spiritual experience with their new spouse. From November to next March is regarded the best time to visit Thailand. It is warm and dry throughout the country, while not too hot and humid. From April to October is the raining season of the country and it is hot and humid, however, it doesn't rain all day long, and you won't be lack of sun shine which means there are still lots of options during this season. The weather in the east coast of this period is good, so if you decide to go during this time, Koh Samui is a very good choice. But the west coast tends to be less predictable. You will also benefit from this quieter season because it represents better value for money. We are sure, new couples will have their most fantastic honeymoons in Thailand. What more, they are not going to break their banks while travelling in the Thai kingdom, as it is incredibly affordable. So start to plan it now and have a lifetime Thailand honeymoon. We offer all inclusive Thailand honeymoon. All will be designed based on your honeymoon requirements. Start planning your Thailand honeymoon now!